Police said the 25-year-old man wanted to apologise and make up with his girlfriend after a quarrel and, therefore, came up with the idea. Police approached the civic body after a man put up "I am sorry" posters in a Maharashtra town. A man put up over 300 banners and hoardings in a town in Maharashtra apparently to make up with his girlfriend after a fight, but the antic has riled the local police. 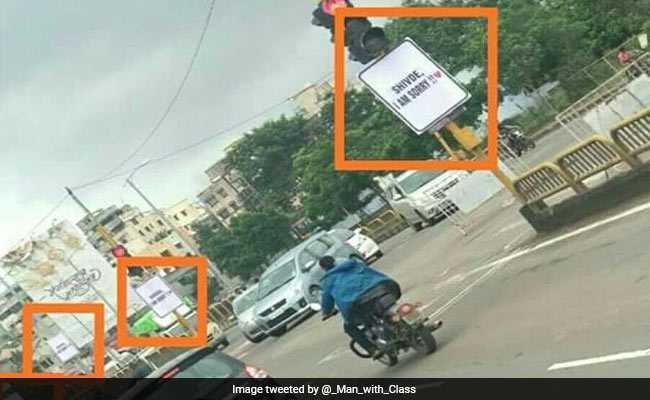 Residents of an upmarket area in Pimpri Chinchwad, near Pune, woke up on Friday to see several posters, carrying the line "(name of the girl), I am sorry" in bold print with a heart symbol beside it in red, dotting the area especially prominent traffic intersections. The act, however, is likely get Nilesh Khedekar, a 25-year-old local businessman, in trouble with the police approaching the Pimpri Chinchwad civic body to initiate action as per rules dealing with illegal hoardings and defacement of public property. 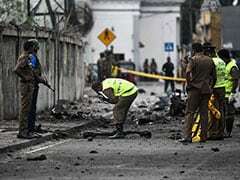 A police official said that investigations into the matter started soon after they were alerted to the hoardings on Friday. He informed that the 25-year-old man wanted to apologise and make up with his girlfriend after a quarrel and, therefore, came up with this "creative" idea. The civic body had been told about the issue, the official said, adding that it was up to the civic body now to initiate further action against the businessman.